One of the hardest reservations to snag in the U.S. is probably not what you’d expect. Because here’s the thing, the place we’re talking about—which offers bunks and rustic cabins at best—is definitely not luxurious. But it does offer something that no other lodging property can compete with: Location, location, location. Nestled along the Colorado River, some 5,800 feet below the North Rim of the Grand Canyon, there is no other place quite like Phantom Ranch. 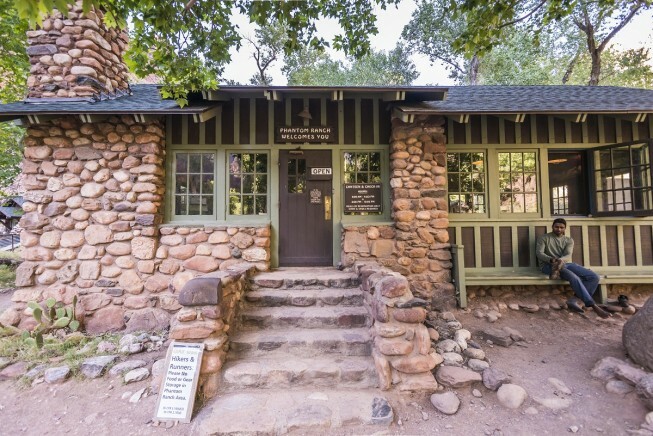 The rustic oasis and lodge was built in 1922 and remains the only lodging facility within the canyon. So it’s no surprise that it’s one of the hardest reservations to snag in the National Park System, let alone the country. 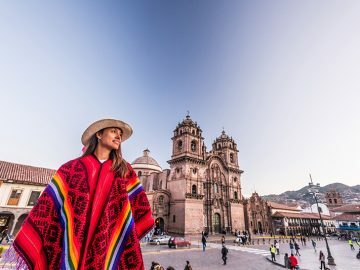 (Cabins and male/female dormitories can sell out within two hours the day they become available, 13 months in advance!). But the hassle of booking these modest accommodations, not to mention the epic hike, rafting trip or mule ride to get there, doesn’t deter people from wanting to stay at Phantom Ranch at least once in their lives. So what is the allure? The one percent club: Once you’ve stayed at Phantom Ranch, you become a part of an exclusive club of people who know—the ones who truly understand and appreciate the grandeur of the Grand Canyon. That’s because from the top, it’s hard to really grasp the magnitude of this special place. 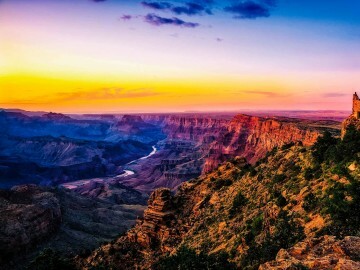 But for the hearty souls who are willing to work for it—less than one percent of the five million annual Grand Canyon visitors—the real magic lies below the rim. Bragging rights. For some, it’s the pure challenge and adventure of getting there that draws them to Phantom Ranch in the first place. If you snag a reservation, one way or another, you’ve got to get yourself to the bottom of the canyon and out again. That means hiking the epic 24-mile North Rim to South Rim route down the North Kaibab Trail and up the Bright Angel Trail, or opting for the shorter but no less grueling 17-mile South Rim experience, often choosing to hike down the steep South Kaibab Trail and back up the more gradual Bright Angel Trail. 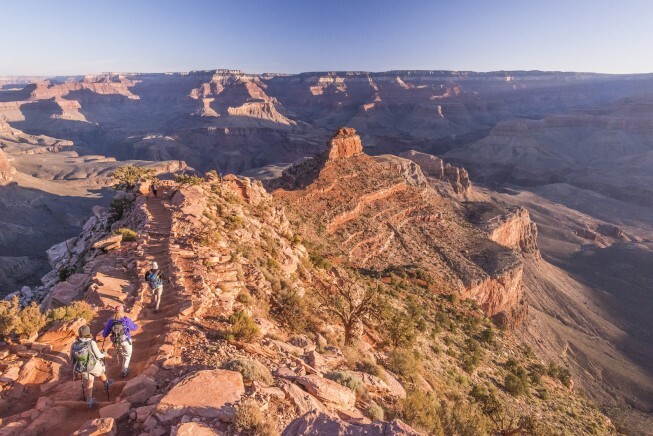 But regardless of which trail you choose, once you’ve done it—descended through two billion years of spectacular beauty and back again—there is no greater sense of personal satisfaction. Solitude: Bragging rights aside, staying at Phantom Ranch is something special. 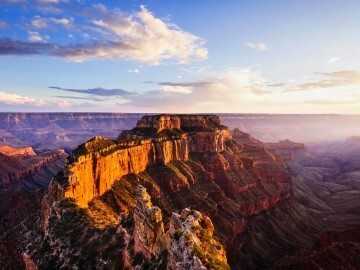 It’s a chance to marvel in the magnificence of the Grand Canyon as you gaze back up at the rim in awe. 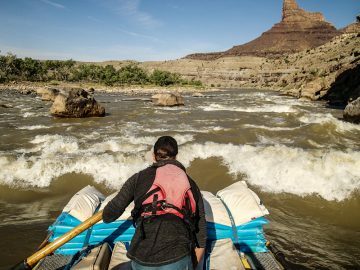 It’s the rare opportunity to let nature overwhelm your senses, not technology, as you soak in the solitude with nothing but the sounds of the Colorado River to distract you. 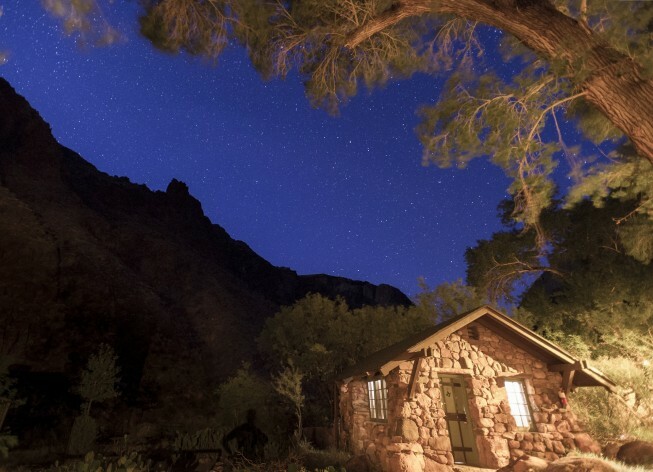 Most importantly, with no cell phone reception and total seclusion from the outside world, staying at Phantom Ranch allows you to reconnect with yourself. Camaraderie: While the solitude at the bottom of the canyon can be magical, so is sharing the experience with some of the other people who are on the same journey as you. Take the time to wander over to the canteen for a cold one (yes, there’s beer at the bottom…mules haul it in along with everything else you’ll find at Phantom Ranch) and you’re guaranteed to make a new friend or two. Not to mention, all the fascinating folks you’ll meet along the trail or share a meal with at the dining hall where family-style breakfasts and dinners are served daily for anyone who makes arrangements in advance. The moments you share with them and their stories will stick with you in unexpected ways well after the journey is over. At America’s most-exclusive lodge, it’s all about the experience, not the amenities. And that’s why staying at Phantom Ranch so worth it. How to snag a spot at Phantom Ranch: Mark your calendar for 13 months in advance of the time you want to go. When the day comes to make a Phantom Ranch reservation, call 888-29-PARKS at 7 a.m. MT and cross your fingers (you can also submit a request online, but you’ll have better priority if you call). If a bed and a hot shower don’t concern you, there’s also the option to try to secure a backcountry permit for camping at Bright Angel Campground located at the bottom of the canyon less than a 1/2 mile from Phantom Ranch. Or, shameless plug, sign up for a Grand Canyon hiking trip with OARS and enjoy one or two nights at Phantom Ranch without any hassle. 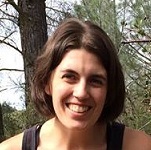 Cari Morgan is OARS’ Communications Manager. Along with overseeing the company’s blog, The Eddy, she also manages the OARS social media sphere. OARS is proud to be an authorized concessioner of the National Park Service and a permitted outfitter under the National Forest Service and the Bureau of Land Management. 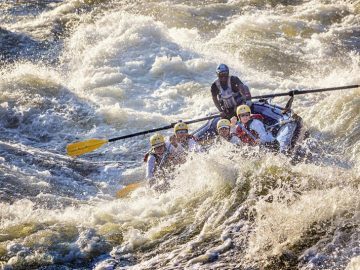 OARS is a proud member of Adventure Collection, a partnership of the world's premiere adventure travel companies. © 1969 - 2019 OARS Companies Inc. All rights reserved.